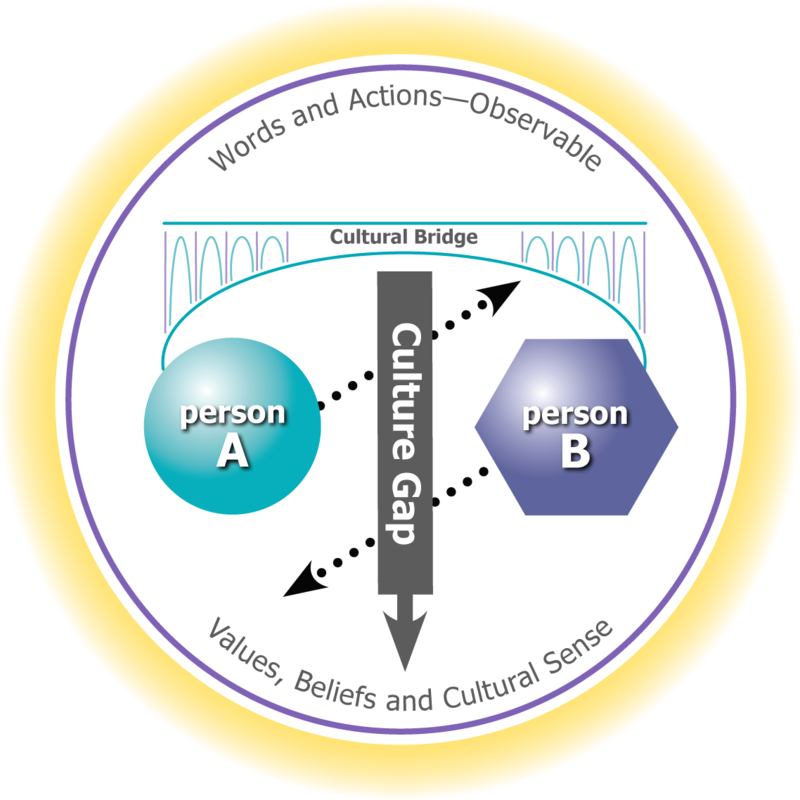 This entry was posted in Commentary and tagged common sense, Cross-cultural communication, cross-cultural skills, Cultural Detective, cultural sense, diversity and inclusion, Education and Training, global business effectiveness, global diversity, Intercultural Communication, intercultural competence, multicultural society, Race and ethnicity in the United States Census, values by Dianne Hofner Saphiere. Bookmark the permalink. Everyday I heard my family, my colleagues, friends and girlfriend talking about “common sense”. Being “blended culture”, you have to struggle about your perception of common sense and family’s perception what I call, the 1st and real fight for your autonomy. Common sense and Authenticity, what a dilemma, doesn’t it? I, recently , have joined “Cultural detective” cd online, exploring this tool make me feel like a child who get an amazing game to interact with himself and others. Thank you to all of you!!! Oh, Philippe, what a wonderful Christmas present you have given us! Thank you for sharing your excitement about CD Online. We are so happy if it can help you explore your Blended Culture identity, and be more fully all of who you are in this world! You are doing amazing things already. I trust this new tool will amplify that a bit more. Warmest of holiday greetings and best wishes for the new year! What a fantastic post Dianne! I love when I learn something new and I have been schooled today! I thought common sense was simply that – sound logic to seek a practical solution across a whole host of experiences. Yet, your definition of cultural sense is so much more applicable. Your examples clarify the need for this redefinition and demonstrate how our lived experiences reflect our logical thinking and practicality. Cool, Deb. So happy to know this resonated with your experience and brought new meaning into that experience. I always say, experience isn’t what teaches us, it’s the sense we make of that experience that is where the learning occurs. Happy to know this reordered your definitions a bit. Like you, I do love learning something new as often as I can. When I turned 50, I vowed to celebrate and seek out “virgin” experiences—ones that I’d never had before in my life. Nice to be a virgin periodically, again, in my 50s! I applaud your approach to learning and living! All the best to you Dianne. thanx, Diane, you provided great inspiration for my own post. Perfectly backed up with your research. I was ready to explode at this comment but I managed to restrain myself. My dear sister who has lived a safe and sheltered life all these years, never venturing beyond the city and family home where she was born, couldn’t possibly begin to conceive of anybody else’s notion of common sense but her own. and situations are guided by instinct bred in one’s dominant environment of immersion? Your story resonates with me and, no doubt, with many of our readers, Christina. Thank you for sharing. I’m glad if you find inspiration here to continue your journey to build intercultural competence in this world. Glad to be on the road with you! Common sense exists and there’s no doubt about it. Maybe your idea of common sense is narrowed to day to day scenarios which don’t really give a good consensus of what we ALL feel is right. The regards for humans life, true knowledge and belongings are all common to us (killers, thieves and liars are regarded the same accross cultures). Don’t even start with the bs that there’s an isolated town or two (or even millions) that don’t because if you are outside the “common” spectrum you cannot even claim you have common sense. Common sense is an idea for us humans from different backgrounds and idelas to come together to a consensus. Common sense is our very way of defining what’s humanly right or wrong, just don’t mess with it because we have gotten to where we are because of it. Such things were designed before we were born for a reason and they are rules (you cannot defy them). If you kill everyone there’s no society. If you lie to everyone there’s no learning. A society without trust and without people do not exist anywhere. Conclusion: It’s complicated but common sense does exist is just that your view doesn’t see this. Common sense is an idea of all the humans coming together and creating a pact and denying it is not only dumb but also very dangerous. I believe what you may be referring to are basic human rights. Yes, human rights should be universal; I can completely agree with and wholeheartedly support that. No to war, not to genocide, no to human trafficking and slavery, no to genital mutilation, no to gender and age discrimination. The reality, of course, is that human rights are sadly very far from “common sense.” Much of what you say I obviously disagree with. Criminals are not treated the same in every society, that is not a true statement, for example. I am sorry for the anger and righteousness I sense in your comment. I wish you peace and balance in your life, as I do for myself and everyone on this planet. Have a good one!